The marching Bb euphonium by Gear4music is an ideal instrument for the marching band. Featuring a horizontal playing position, the sound projects straight forward and towards the audience, perfect for outdoor playing. The three valve non-compensating system makes it lightweight for maximum comfort. In comparison to conventional euphoniums, this marching instrument features a bell that faces directly in front of the performer. This is ideal for outside playing, meaning that the sound source can be directed towards the audience instead of straight up in to the air. The aim of a marching instrument is to provide lots of volume but keep the instrument lightweight. This has been accomplished with the Gear4music marching euphonium. 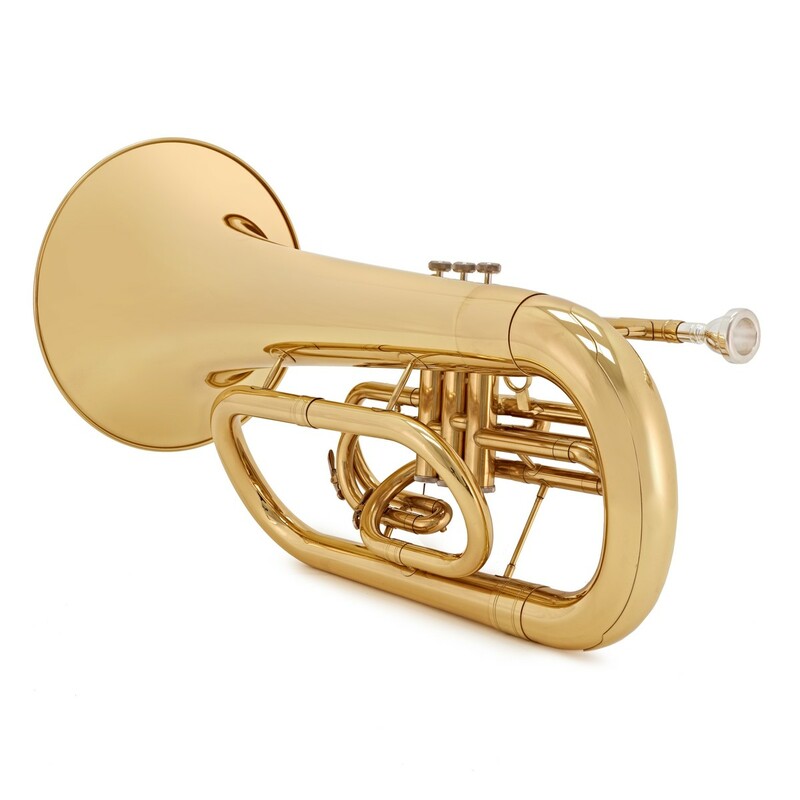 While the conventional instrument is very heavy, the marching euph features a 3 valve non-compensating system, which results in a lighter instrument that is easier to use over long periods of time. Playing quality is not compromised with this instrument, as it still packs a real punch, particularly at louder dynamics.